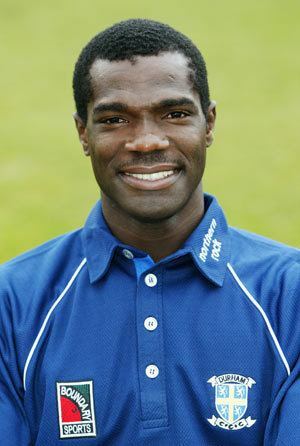 Reon Dane King (born 6 October 1975) is a former West Indian cricketer who has played 19 Tests and 50 One Day Internationals for the West Indies. An athletic paceman from Guyana with a slinky run sometimes compared to Michael Holding's, King bowls through that run rather than setting himself at the crease, but was still considered to be West Indies' fastest bowler at the end of the 1990s. He enjoyed a successful home season in 1999–2000, taking his first Test five-for against Zimbabwe in Jamaica. Two months later, after setting up a tight win over Pakistan, he and Franklyn Rose seemed almost ready to succeed Curtly Ambrose and Courtney Walsh. But both fell away during the 2000 tour of England, where King was said to be troubled by a heel injury. An introverted character and a genuine No. 10, King was a forgotten man for four years, until he was recalled for the home series against South Africa in 2004–05, when a raft of leading players were sidelined by a contract dispute. 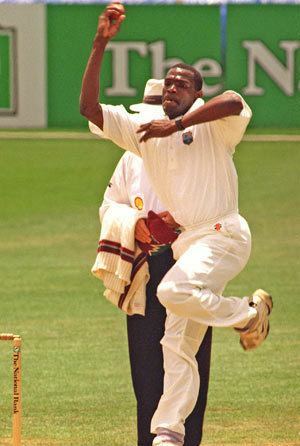 King was highly effective for the West Indies in One Day Internationals, rising to as high as fourth in the World Rankings in 2000 and finishing his career with 77 wickets at an average of 23.77 and economy of 4.16. Typical of the West Indies selectors, his superior statistics in the format were apparently overlooked as he appeared in just two games after 2001.